Libraries are one to today’s modern learning centers. Accordingly, libraries must present a range of learning opportunities for children and adults. Here Socrates can greatly assist libraries by providing a powerful way for children to be guided through thousands of educational topics. Socrates dynamically creates individualized learning paths that adjust based on each answer – helping children focus on where they are struggling and encouraging them to excel where they are doing well. Socrates starts each child based on their grade level but adjusts backward or forwards across grades based on their trueindividual capabilities. 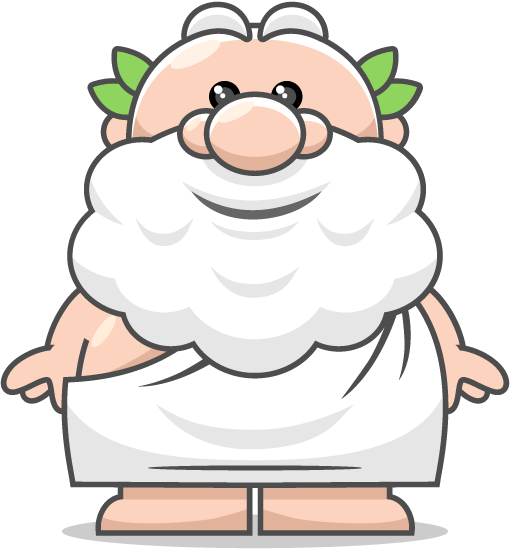 Socrates uses gamification elements to encourage, reward, and engage children whilst they learn. Socrates is not only educational, it is fun for children. Children answers questions to earn tokens and tickets which can be used to play games or purchase just-for-fun items such as virtual pets, avatar enhancements, and emojis. They have to learn more to play more – keeping them constantly engaged and wanting to do more. 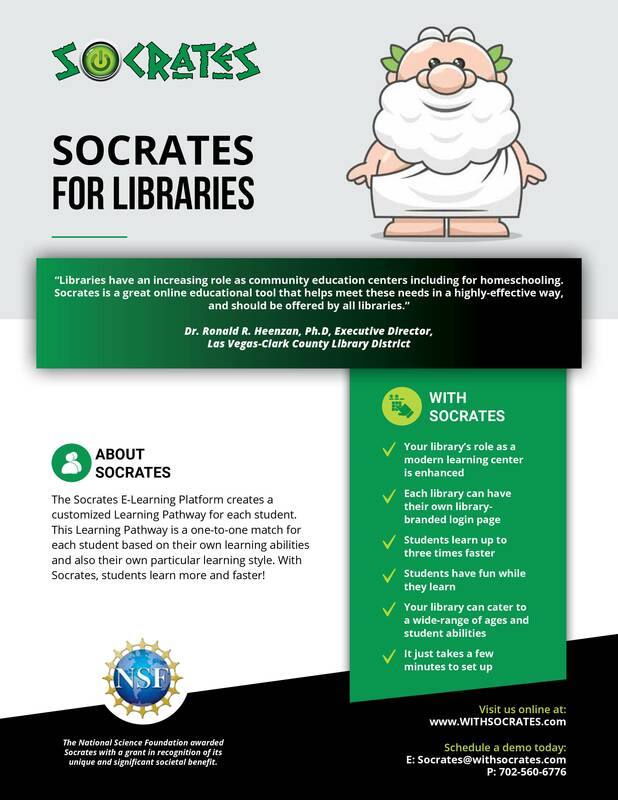 Access to use Socrates for tutoring programs or other in-library initiatives. Libraries have an increasing role as community education centers including for homeschooling. Socrates is a great online educational tool that helps meet these needs in a highly-effective way, and should be offered by all libraries. Contact us to book a demo and get your Library Edition of Socrates!